At 9:58 am, the Sensex was trading 258 points higher at 36,523 level with Nifty rising 75 points to 11,023 level. On January 29, Sensex and Nifty reached all time high levels of 36,443 and 11,171 levels, respectively on expectations from Union Budget and optimism over Q3 earnings. 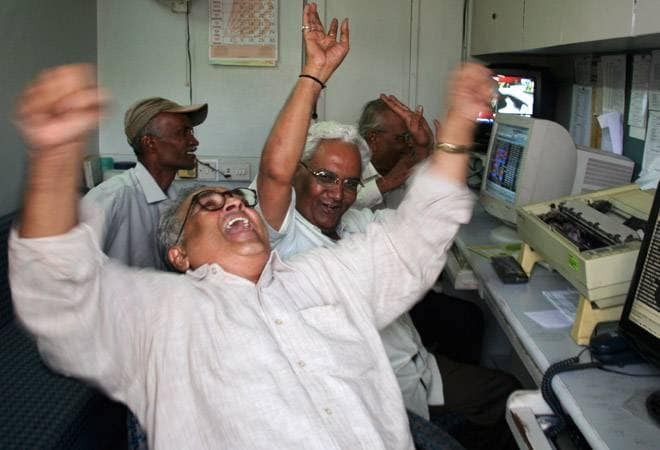 The Sensex rose to its all-time high in early trade today amid gains in banking stocks and higher Asian markets. While the Sensex climbed to a new high of 36,540, Nifty opened above 11,000 mark for the first time since January 29, 2018. At 9:58 am, the Sensex was trading 258 points higher at 36,523 level with Nifty rising 75 points to 11,023 level. On January 29, Sensex and Nifty reached all time high levels of 36,443 and 11,171 levels, respectively on expectations from Union Budget and optimism over Q3 earnings. Reliance Industries (1.90%), SBI (1.78%) and IndusInd Bank (1.75%) were the top Sensex gainers. TCS which reached its all-time high of 1995 yesterday over strong Q1 earnings succumbed to profit booking and was trading just 0.62% higher compared to its previous close. Market breadth was positive with 1194 stocks trading higher against 442 falling on the BSE index. Manoj Sachdeva, Research Head at Hem Securities said, "Indian equity benchmarks traded on strong note throughout the day and ended the session with modest gains after tracking firmness in Asian cues. Key Indices opened on an upbeat note despite lingering concerns regarding escalating US-China trade war during previous session. Meanwhile investors are awaiting May industrial growth (IIP) data and June retail inflation (CPI) data, due later in the day. Reliance Industries rose 4-5 percent and hit all time high and touched market capitalisation of $100 billion. On the sectoral front, Oil & Gas, Capital Goods, Bank and FMCG were top gaining indices on BSE while on the flip side; Metal, Realty, Information Technology and Consumer Durables were top losing indices on BSE. The top gainers on the Sensex were Reliance, Wipro, LT, HUL and HDFC while on the flip side; Vedanta, Infosys, Bajaj Auto, M&M and Hero Motocorp were the top losers. On global Front; Asian markets shut the day on a green note while European indices were trading in green". Among sectoral indices, BSE bankex was the top gainer rising 1.04% or 308 points to 29,994 level. Bank Nifty too rose 294 points to 27,109 level. Oil and gas index too rose 1.91% or 266 points to 14,195 level. Among 19 BSE sectoral indices,16 were trading higher. Meanwhile, the rupee firmed up by 19 paise to 68.58 against the dollar in early trade ahead of release of key index of industrial production (IIP) and inflation data amid foreign capital inflows. Forex dealers said selling of the greenback by banks and exporters supported the rupee. However, dollar's strength against other currencies overseas, due to mounting US-China trade tensions and strong US inflation data, capped the gains. Asian stock markets rose Thursday following Wall Street's decline amid US-Chinese trade tensions and oil prices recovered some of the previous day's steep losses. The Shanghai Composite Index rose 1.1 percent to 2,809.42 and Tokyo's Nikkei 225 gained 1.2 percent to 22,181.13. Sydney's S&P-ASX 200 added 0.7 percent to 6,258.00 and Seoul's Kospi advanced 0.4 percent to 2,289.31. Benchmarks in Taiwan and Southeast Asia also rose. Hong Kong's Hang Seng was unchanged at 28,309.61. New Zealand declined.